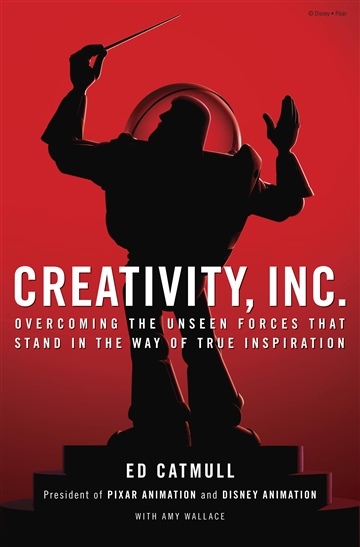 From Ed Catmull, co-founder (with Steve Jobs and John Lasseter) of Pixar Animation Studios, comes an incisive book about creativity in business—sure to appeal to readers of Daniel Pink, Tom Peters, and Chip and Dan Heath. For nearly twenty years, Pixar has dominated the world of animation, producing such beloved films as the Toy Story trilogy, Monsters, Inc., Finding Nemo, The Incredibles, Up, and WALL-E, which have gone on to set box-office records and garner thirty Academy Awards. The joyousness of the storytelling, the inventive plots, the emotional authenticity: In some ways, Pixar movies are an object lesson in what creativity really is. Here, in this book, Catmull reveals the ideals and techniques that have made Pixar so widely admired—and so profitable. • Give a good idea to a mediocre team, and they will screw it up. But give a mediocre idea to a great team, and they will either fix it or come up with something better. • If you don’t strive to uncover what is unseen and understand its nature, you will be ill prepared to lead. • It’s not the manager’s job to prevent risks. It’s the manager’s job to make it safe for others to take them. • The cost of preventing errors is often far greater than the cost of fixing them. • A company’s communication structure should not mirror its organizational structure. Everybody should be able to talk to anybody. • Do not assume that general agreement will lead to change—it takes substantial energy to move a group, even when all are on board. Ed Catmull is co-founder of Pixar Animation Studios and president of Pixar Animation and Disney Animation. He has been honored with five Academy Awards, including the Gordon E. Sawyer Award for lifetime achievement in the field of computer graphics. He received his Ph.D. in computer science from the University of Utah. He lives in San Francisco with his wife and children.